It's at about eye level for me, so I just raised the phone camera above the edge and blindly snapped these images. The first was taken April 19. I've often wondered why these eggs evolved to be blue. Seems like a bad color if you want to go unnoticed. 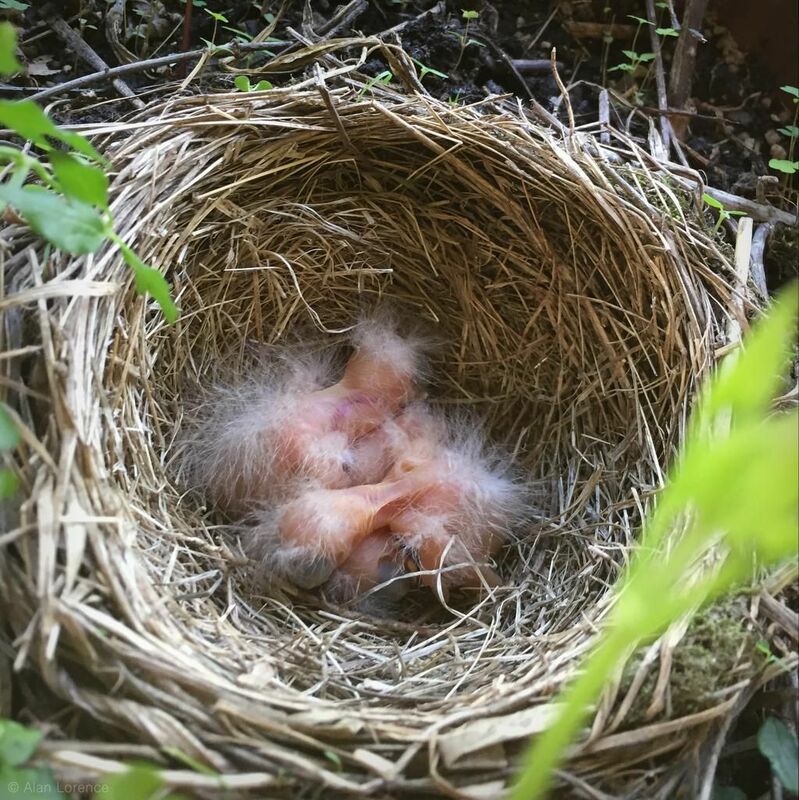 Newly-hatched chicks are not what I'd call the cutest things in the garden. That last photo taken on May 7, but I bet it was already empty on the 6th. 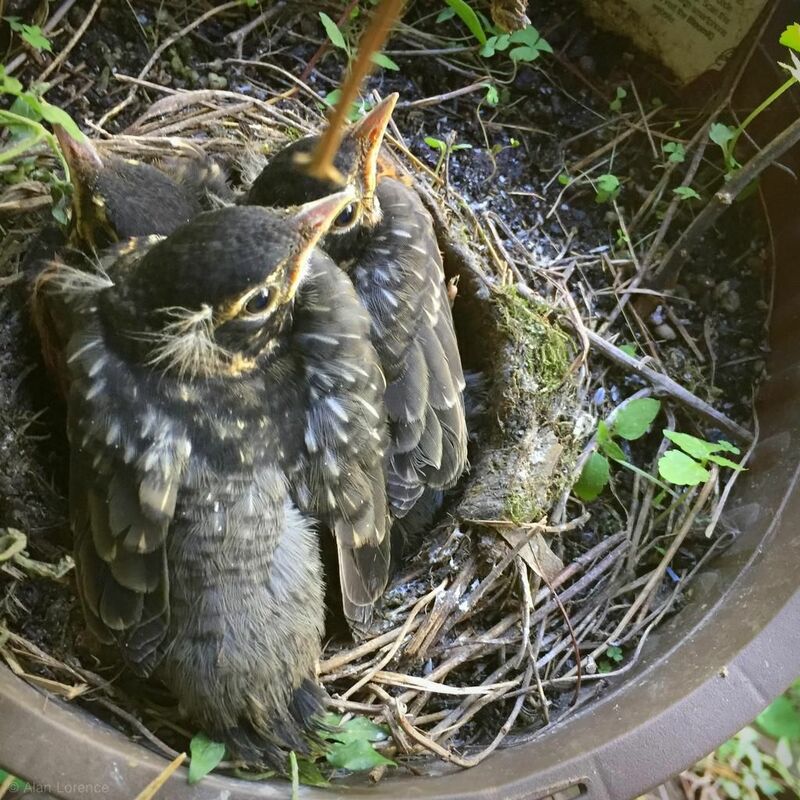 I don't know why it surprises me that baby birds leave the nest so quickly, but it always does. I saw a pair of robins collecting nesting materials again this morning. The same pair? Probably. I don't believe they reuse nests. Awesome! The outlaw gardener would have been happy to add those blue eggs to his In a Vase on Monday very blue display. Indeed the bright blue is much of a camouflage, but it sure is pretty! So cute! And so blue... Thanks for sharing! What a great series of photos! 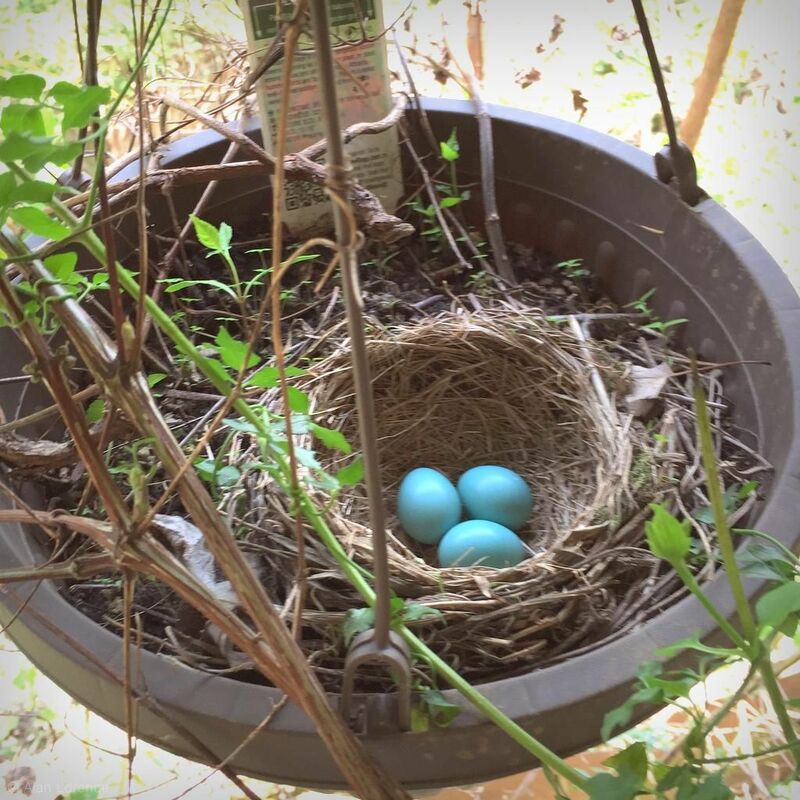 The first one had me thinking about how I used to find pieces of robins eggs all the time. Now it's been ages. How cool that you got to see this in your garden! Great question about the blue color of the eggs, now I wonder too. Love this series of photos. Awesome. 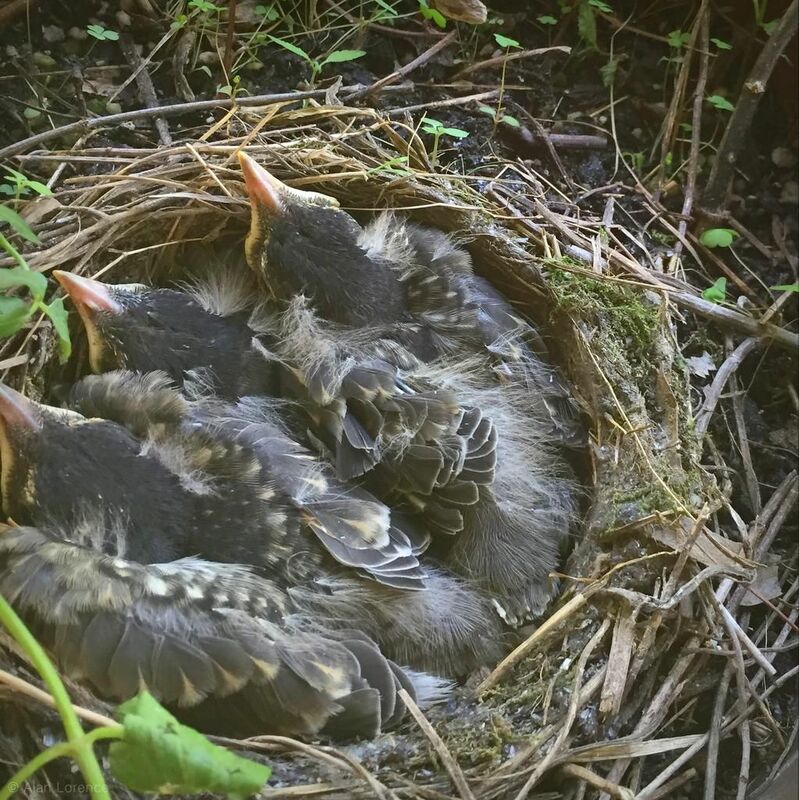 Oh my, how cool to see them develop till they left the nest!! Delightful series of photos. Wonderful that you were able to get photos shooting above you head. Well done! Robin's egg blue---I love that color! 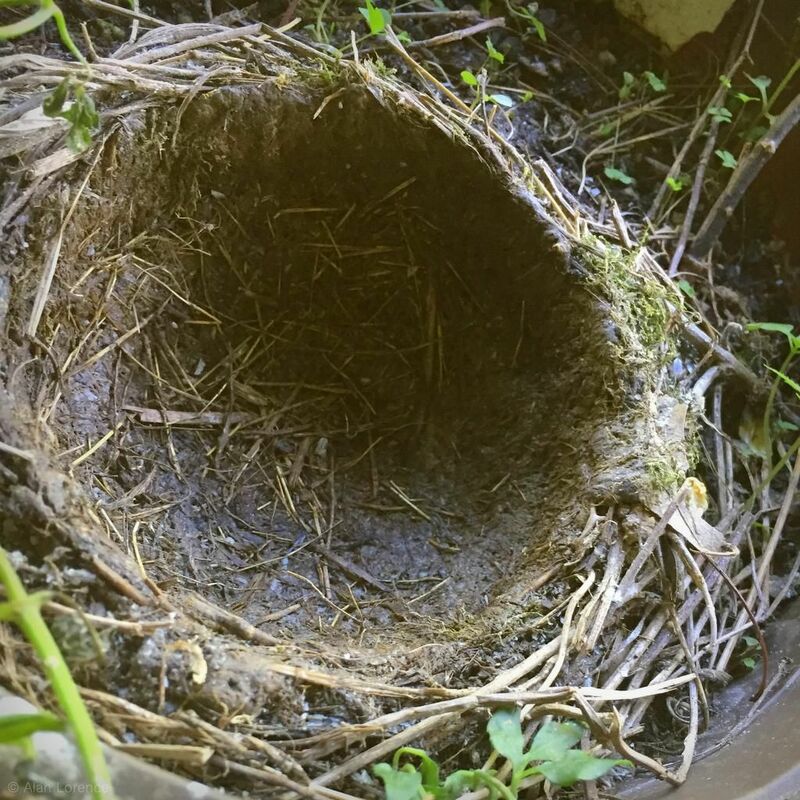 Nice record of a successful nest. It did seem as though it offered little protection but it worked. Cardinals never seem to do well here as the jays and snakes always get to them.